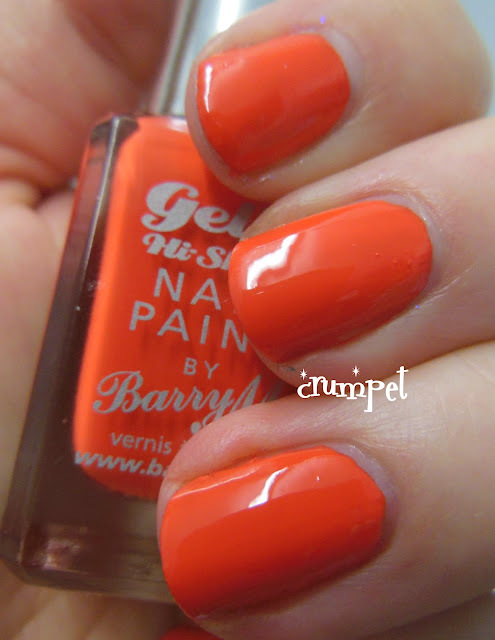 The Crumpet: Barry M Gelly Polishes - Swatch and Review! I know you're all excited to see these, Barry's new Gellies. Kudos to Barry. I don't know who put the stick of dynamite up his bum but he is having QUITE the spectacular year. Not a month seems to go buy without another polish release - glitter, foil, magnetic, glitter, gellies - making him THE Number 1 British polish brand at the moment (as voted for by me!). Unfortunately, I'm not one of Barry's official bloggers, so I had to go and buy all these. 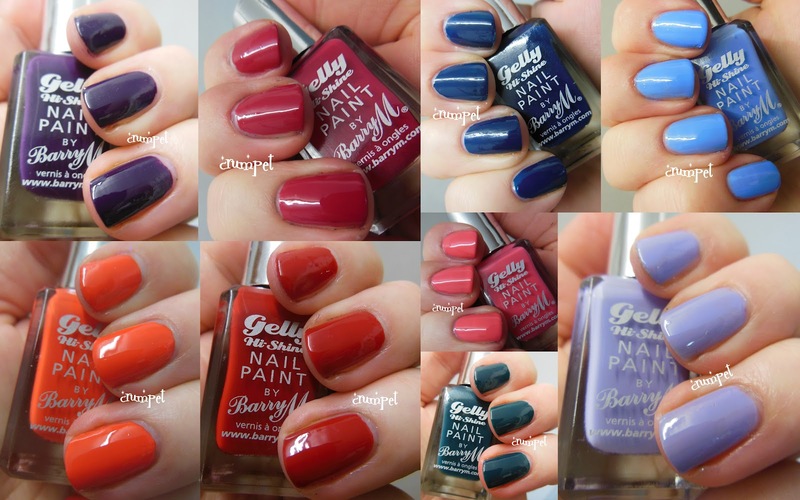 They retail at £3.99 each, £1 more expensive than his normal "nail paints", and there are 9 in total. So what's the hype? 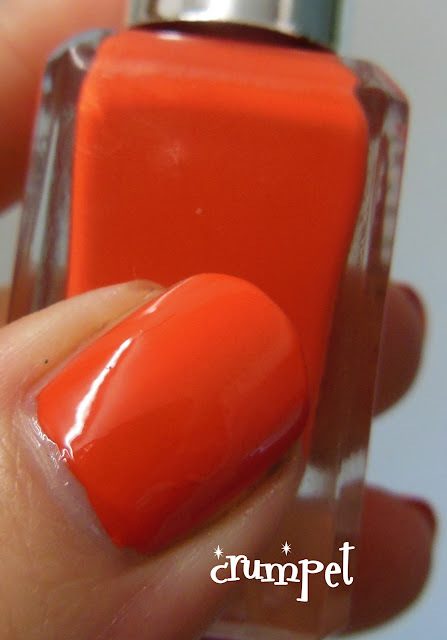 Well, this aren't JELLIES (sheer), they're GELLIES, meaning they replicate the glossy high finish of gel manicures. They are supposed to be 1 coaters, and not need top coat to make them shiny shiny. * are they worth it ? YES !! 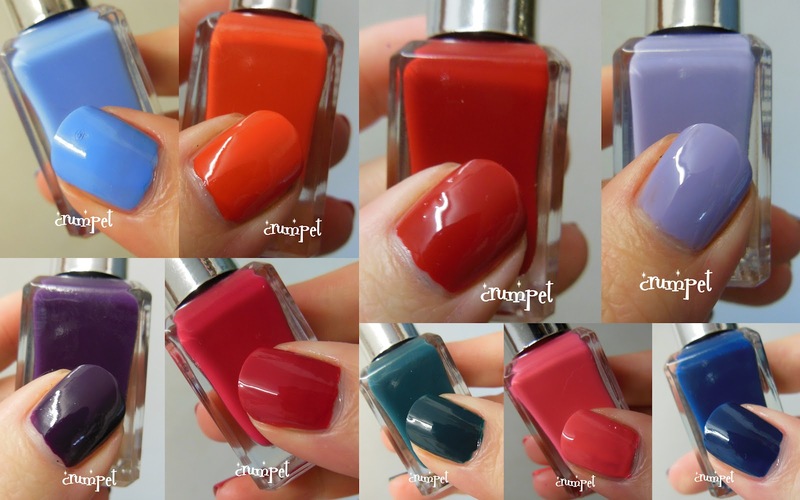 They are luscious, and they even have proper polish names !!! * my final thought is how weird it is they are being released now, for Autumn. There is something totally summery about this collection - a June release would have made more sense. There's certainly a couple of colours in here that I would only wear when the sun is shining. Ok, ready to meet the babies ?? Here we go. 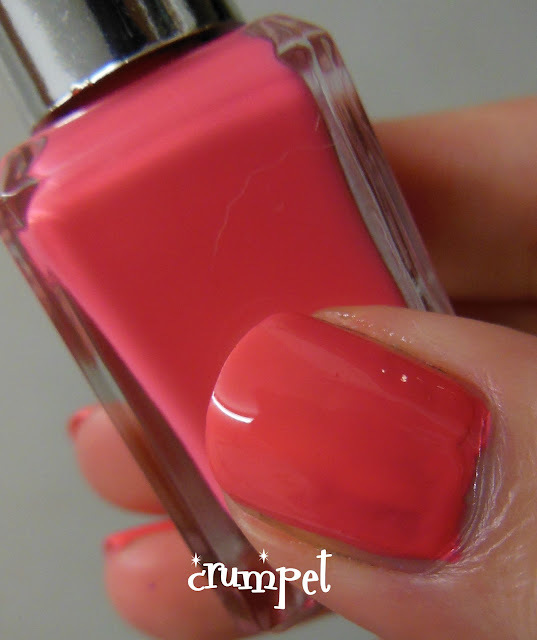 First out the box was Prickly Pear, one of the few polishes that doesn't begin with B! 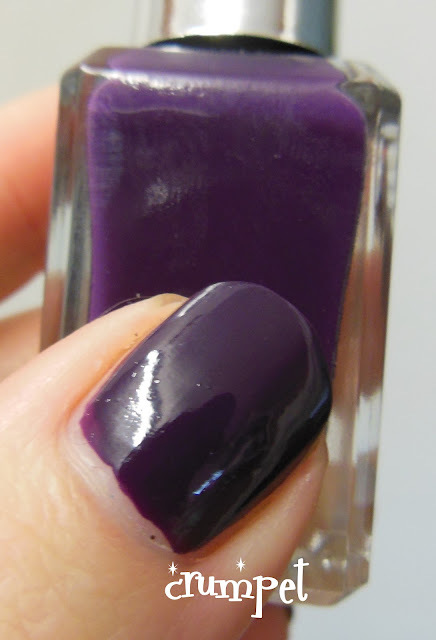 It's a gorgeous lavender, very blue toned, and this one need 3 coats. I have a feeling it will thicken up though once it is no longer such a newborn. 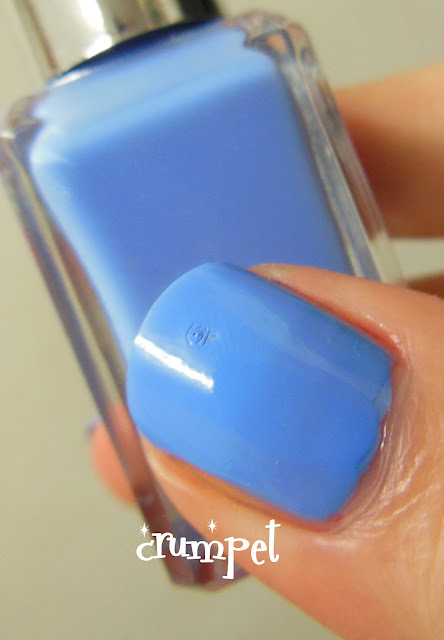 There's a gorgeous dreamy, tranquil quality to this polish. Winner. Next I tried Watermelon, because I had a glitter I needed to pair with it! Being one of the darkest colours of the bunch, this one WAS opaque in 1 coat, although a second qould have enhanced its glossy factor. This is a dark, pine green - even I have owned this shade before and I don't like green - so if you're a green lover, you'll definitely like the dark, forbidden qualities of this one. This is a perfect example of why I think this should have been a summer collection. This isn't a normal orange like Barry's Block Orange; this is a bright, in-your-face full scale attack :) Not for me, but a lot of people will like this one. Whilst we're on the neon subject, my skin made Grapefruit look quite neon too. It's pretty much my nightmare shade - bright, and suspended between pink and coral. Ironically, this one had the most "gel-like" properties, but I hated it on me. I've seen it worn by other people though and it has looked lovely - it's certainly an interesting shade. Then we have Blood Orange, which isn't. 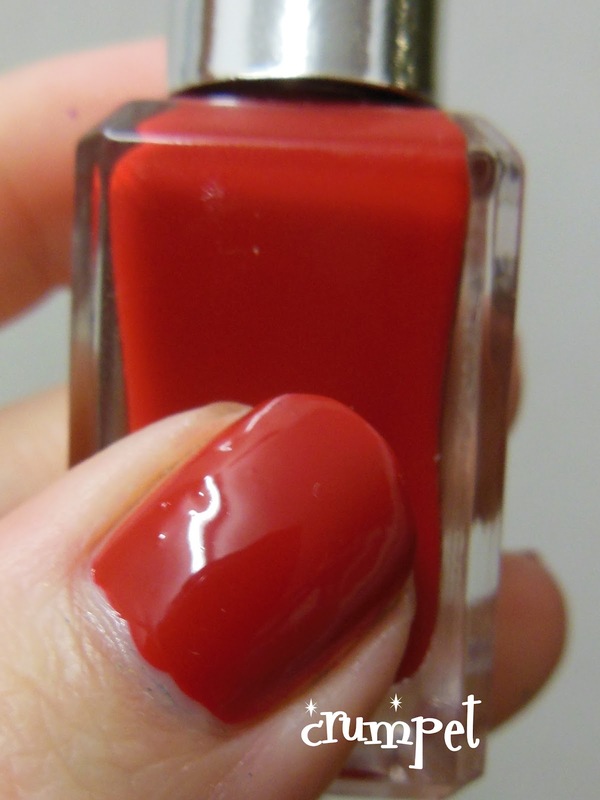 Basically it's a pure red jellyish polish, and gorgeous for that reason alone. Red and high shine is a marriage made in heaven - I can see this being one I need a back up of. Blueberry. Ah, Blueberry. So blue. So dreamy yet BRIGHT. This is a perfect spring-summer polish. This has a LOT of brightness to it, but it works WITH the coldness of the colour, rather than against it. This also had a lot of squishiness and looked totally gorgeous on - you can see how squishy it was by the little dent I got on the thumb (a classic reason why I think you should still use top coat). 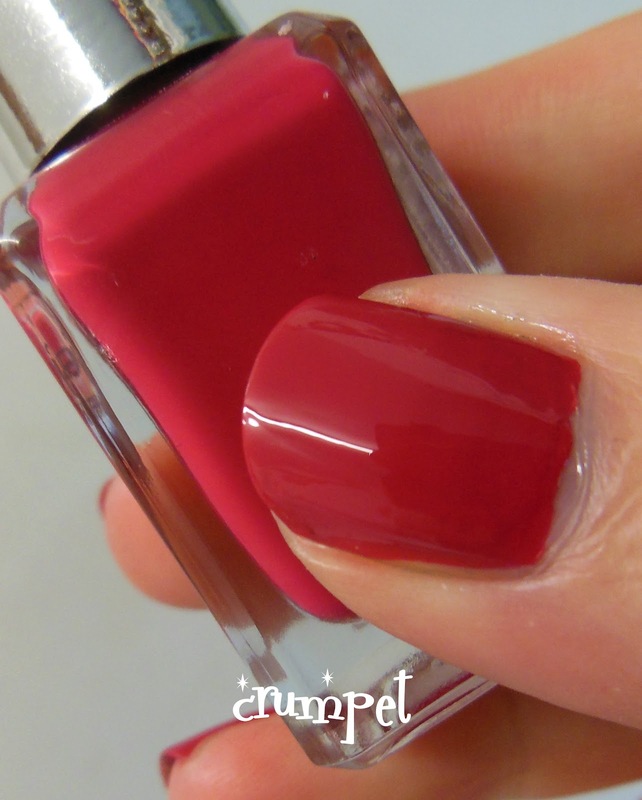 Pomegranate is virtually a high gloss version of Barry M's Raspberry nail paint. It's that lovely colour that's not pure red or pure pink, but some indefinable fusion of the two. This was also a 1-coater, and another fave, although it felt more "ordinary" than the other colours. Blue Plum I didn't like, for no other reason than that I personally find this a dull colour. Again a 1-coater, this also has a tiny amount of teal to it, which seems to have washed away in the photos. This reminds me a lot of Zoya Natty, which you'll remember I didn't like either. There's nothing wrong with it, it's just not me, but it also feels very out of sync with the rest of the colours. And finally ..... Blackberry, take a bow! Wow oh wow oh wow. Dark purple you say? And super shiny ? Well, fetch me a drool bucket. STAT !!! Wow, I just love this one. This is 1 COAT! 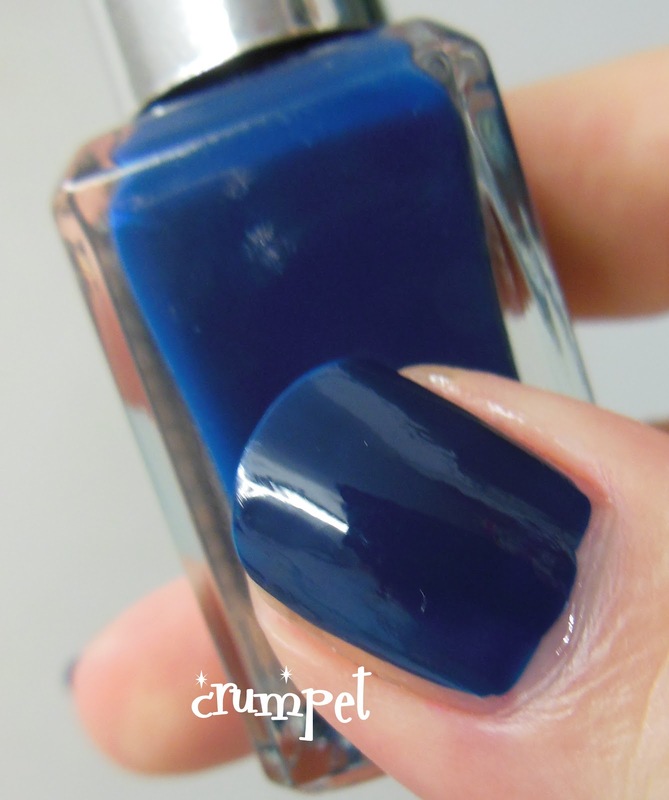 1 coat - can you believe it ? This is pure dark perfection, and probably my favourite of all of them. All of the polishes are delicious and richly pigmented. I have my absolute winners, and I'm sure you'll have different ones, purely because our colour tastes are different. BLACKBERRY - pick of the bunch for me, and perfect for autumn and Hallowe'en !